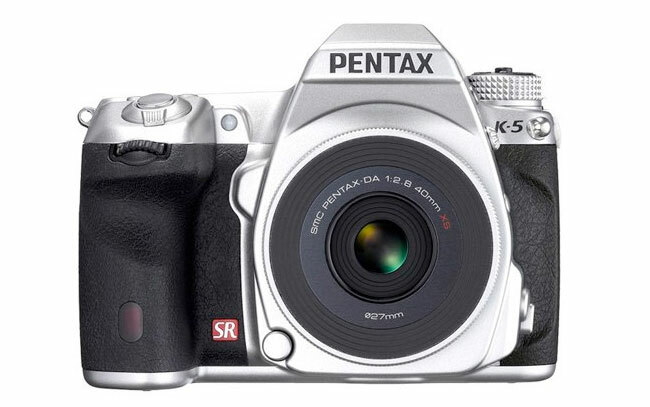 Pentax have this week launched a new limited edition silver version of their K-5 DLSR camera, which sports similar lines to the Pentax K-7. Pentax has launched their new Pentax K-5 to give the DLSR a facelift and will only be available as a limited edition of 1,500 sets worldwide. For a recap the Pentax K-5 is equipped with a 16.3-megapixel sensor, together with a 3 inch 921k dot LCD display, plus support for SD/SDHC cards. It also features an ISO range between ISO range of 100 to 12800, and 11 point autofocus system and a 7fps burst mode and high ISO performance with improved noise control. The new Pentax K-5 Limited Edition Silver bundle will consist of the Pentax K-5 digital SLR camera body together with the new, ultra thin smc Pentax-DA 40mm F2.8 XS lens, which is available to purchase for $1600.